We’ve all wanted to yell those words at the top of our lungs. Who won’t wait to go to work and say either I quit or I’m buying you out?? Well last night was the Power Ball Lottery and the winning ticket was worth 425 million. Needless to say, I didn’t win. But those kind of numbers would make anyone start to think…What would you do with all that money? 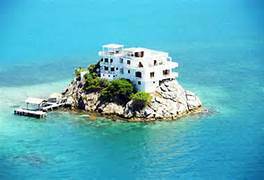 Are you the type who would buy your own private island to live in luxury, away from all of the frustrations and annoyances of daily life? Or maybe you would be more of a philanthropist and would you try to help as many of the wonderful and worthy charities out there in need? Maybe you would splurge and go on an all out shopping spree, or run away on an exotic vacation? As a writer, I have to be honest and tell you that the private island sounds wonderful. I could finally have time to do all the writing I want, uninterrupted. But then I would want to go and experience as much adventure as I could: so that I could go back and write some more. No matter where what your secret desires are, with this type of money you are sure to be thinking of how to spend it. Imagination is a writers tool…and wouldn’t it be fun to use this tool to create the most outlandish adventure?